Life is difficult at times. We all know that, we all accept that. Finding winners on the gee-gees is also pretty difficult. We all know that, we all accept that as well. So when a horse with latent ability starts making life difficult for himself and in turn making life frustrating for his supporters…it is safe to say we have every right to question our support of said beast. Yes Dance And Dance I am talking about YOU!! I’ve watched his run in Sunday’s Cambridgeshire a few times now and every time I’m left with the notion that there is so much left in his tank at the finish, sooooo much! I know I’m not the only one that has been seduced by his performances, he has started to become the master of seduction in recent runs. However, there has to be a time when we say enough is enough, I’m not falling for your ways any more, I’m fed up throwing a portion of my hard-earned cash on you for little to no return, only getting a faint buzz at the end of your races when you start teasing us all with what might have been and would could be in the future. Sometimes you have to take a stance against these beasts and I’m taking one now. Dance And Dance you are OFF the BDH list. I don’t need time wasters and attention seekers in our squad. We have worked damn hard over the summer and I’m not in the mood to let you spoil the party! I’m sure Dance And Dance will win again at some stage, if it happens to be next time out I’ll live with it (maybe! ), but as far as being a member of our cherished BDH attack force I’m afraid to say (perhaps happy to say!) that your time is up, bye bye. With the 1st & 2nd coming from stalls 2 & 3 it is safe to say that it was an advantage to be drawn low; I’m pretty much coming round to the notion that this is where it pays to be in these tricky Sandown sprints. ASK THE GURU absolutely blitzed out of the gates in stall 1 and that gave a perfect target for BURNING THREAD & TIDAL’S BABY to aim at. The potential front runners from up high, SWENDAB & FRATELLINO, couldn’t get their preferred spot and this again helped it become a low drawn affair. The majority from up high had to switch behind early and this caused plenty of bunching on the far side and middle of the track. ASK THE GURU set a strong pace out front but couldn’t hold it in the final furlong and that gave a perfect slipstream for the eventual first 2 home to sweep past and strike. There were a few hard-luck stories in-behind with the next 3 home SIR MAXIMILLIAN, DUNGANNON & MISSION APPROVED all meeting some sort of trouble at some stage of the contest. The winner BURNING THREAD was in the prime spot behind the pace setting Ask The Guru and he duly obliged. 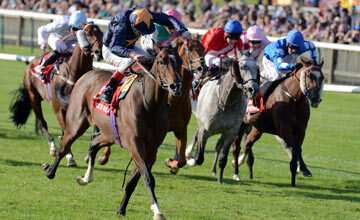 With retrospect he was well in on old form, had his ground and had previously won over course & distance. Depending on what the handicapper does he may still be able to squeeze out another win before reaching his ceiling again. 2nd home TIDAL’S BABY essentially just couldn’t match the winner and it may just be that he has enough weight for now. This was, however, his 2nd best RPR figure so that’s not conclusive by any means. 3rd home SIR MAXIMILLIAN ran a sound race given that he met trouble in-running and had an average draw. For all this was a solid run he is showing signs that he is held off his current mark. We know all about DUNGANNON in 4th and he was probably slightly more hampered than Sir Maximillian, having to switch numerous time to try and get a run. There was plenty to like about this run and he is still running at a consistent enough level, his time will come. 5th home MISSION APPROVED had the worst draw of all as he was parked widest of the field in the outside box. Moore tracked him across as soon as he could but he had to wait for gaps (on more than 1 occasion) and when they did appear the race was all but over. Having his first run since being gelded and also dropping back to 5f for the first time in his 7 race career, this Dansili 3yo did extremely well to finish only 4 and a bit lengths behind the winner. Ryan Moore had to switch early and bide his time but the gaps just didn’t come in time for him. He looks a powerful sprinting type as he traveled with plenty of gusto out the back and looks well suited to this drop down in trip. He impressed me with the way he quite easily consented to ghost through the gaps when they did appear and he closed in on the pack with minimal effort when asked by his pilot. His rating of 80 looks extremely workable, especially when we consider that was gained over 7 & 8f trips. It should also be noted that he recorded his best Proform speed figure to date in this race, by quite some way in fact; another sign that this drop in trip brought about improvement from a potentially very lenient mark. We don’t have a great deal to go on with regards to preferences as this was only his 7th career start (5th on turf) but his only turf victory to date (has won on the A/W) was gained off Soft ground at Warwick last October and it could be we see more improvement once the ground eases in the final couple of months of the season. Conditions – As mentioned already we don’t have a great deal to work with although he looks for all the world like a sprinter to me and I am looking for him to be back over the 5f trip, possibly even 6f. Ground he seems adaptable with although ground with cut in it may just be more of a help. MISSION APPROVED now enters my Proform ‘Horse Watcher’ tool and I will post on the Blog when he is due to run next. BDH Sunday Runner: D&D aiming for an Irish Jig? Hopefully D&D will have the luck of the Irish! We make a very rare foray across the Irish Sea for a BDH qualifier today, with one of our squad taking to the track in the Irish Cambridgeshire at Curragh. An each-way bet was suggested and he finished a fine and dandy…4th! Would have been fine if the full 16 had gone to post…but they didn’t, we had 2 non-runners. The race pace played out a bit muddling, didn’t really suit our lad and the gaps did not appear when needed. That’s racing, however, and there are no excuses here. He was a no bet for us anyway as he pretty much had nothing in his favour here and as predicted he ran like it. Hopefully, however, it will give us a massive price next time out, if of course he fits our criteria. 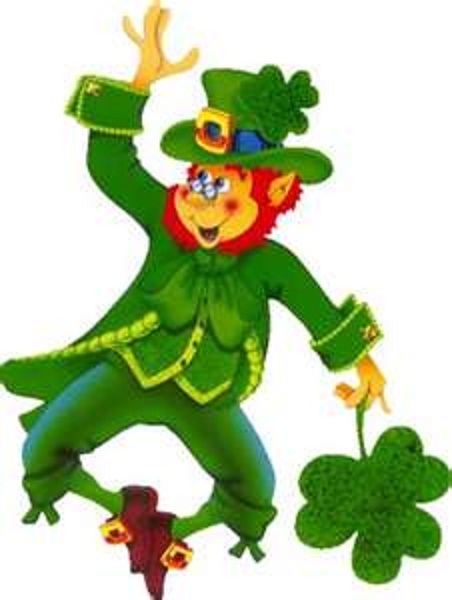 To be fair I wasn’t really expecting him to appear in Ireland but kudos for connection for looking a bit further afield in their bid to get him back in the winners enclosure. The return to 1 mile is a positive move for me, in my opinion that’s where he is most effective at these days. Ryan Moore back in the plate is also a huge bonus. His record on D&D is a rather fetching 12240. Moore also has a solid record at the track with 9 wins from 31 for a 29% S/R. He runs well when returning after a break of 15 days or less and has proven in the past that he runs very well in large fields. It’s a tough race to try and win, with more than a few unexposed sorts going into battle, but back at a mile and with Moore in the saddle I’m happy to pitch in again on D&D.